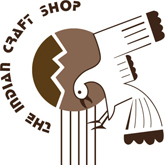 Award-winning artists Charlene and Frank Reano of the San Felipe and Santo Domingo Pueblos are experts in the ancient technique of mosaic inlay. 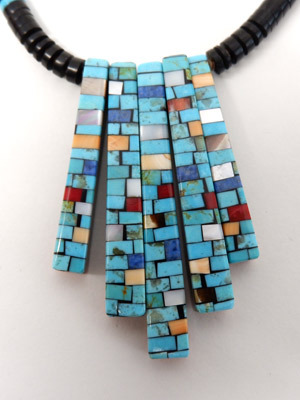 This stunning 5 tab multistone inlay necklace, the tabs have different inlay on each side making this necklace reversible. It is strung on to a jet heishi and has multi-inlay stones. 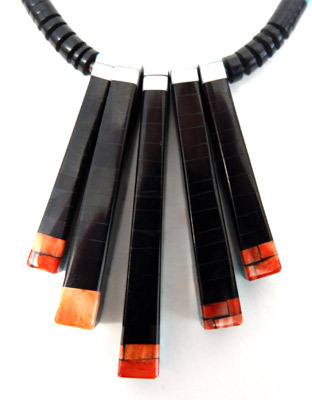 Length of Necklace 20". Length of Longest Tab 2.5"
For more information on Charlene and Frank Reano, click here.